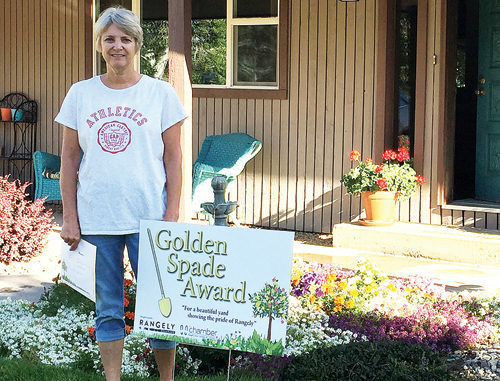 Elaine Urie (top) was the August winner of the Golden Spade award for a business in Rangely, and Vicky (bottom) and Kurt Douglas were the residential winners. 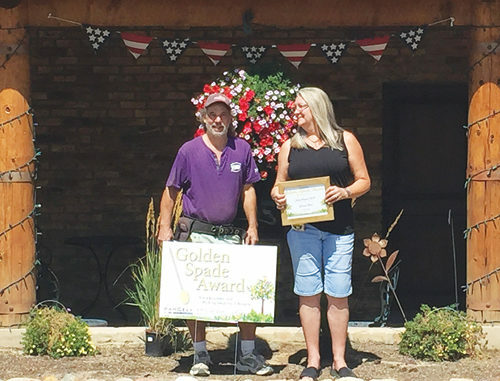 Rangely’s Golden Spade Award winners for May are for The Main Street Coffee Shop owned by Cheri Perry. 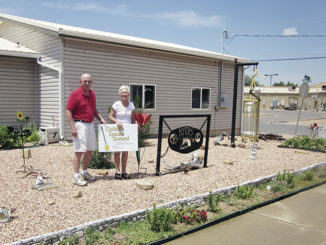 The business has been open for 3.5 years and serves coffee and wonderful food specials.